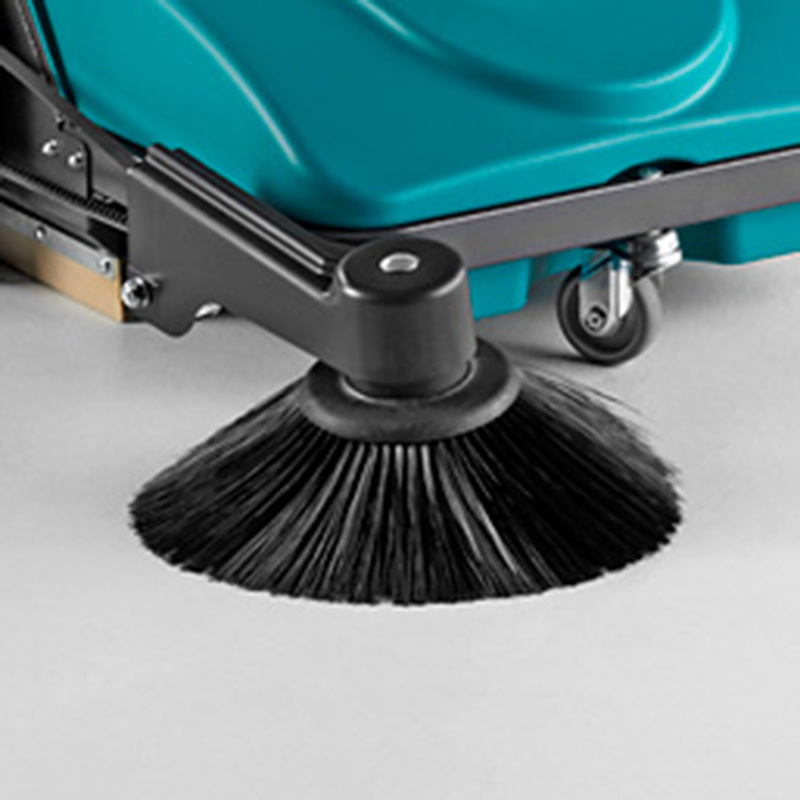 Picobello 151 Ecovac® - ENJOY THE ABILITY OF JUST GRAB & VACUUM-SWEEP! 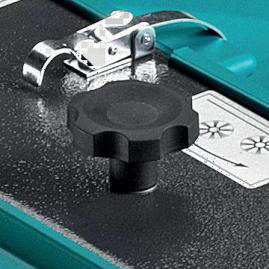 Enjoy the ability of just grab & vacuum-sweep with the Picobello 151 Ecovac®, the award winning manual push sweeper. Productivity, simplicity and value for money. No hassle maintenance and 100% eco-friendly with unlimited running time. 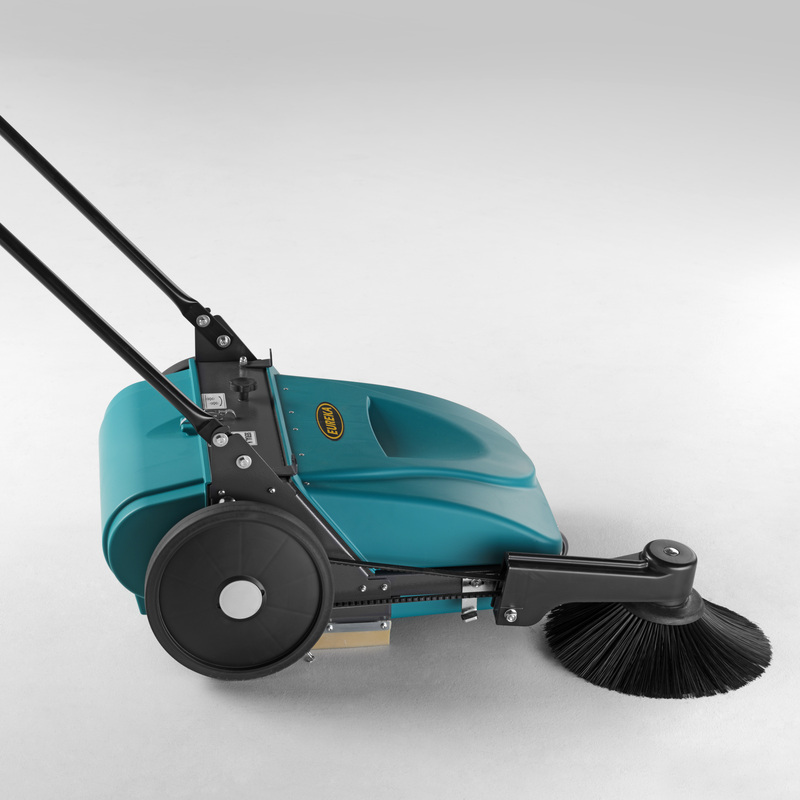 WHY IS THE PICOBELLO 151 PUSH SWEEPER ROBUST & RELIABLE? The Picobello 151 Ecovac® sweeper structure is entirely manufactured in Eureka S.p.A. in order to ensure the highest qualitative standards. In addition all containers are made of special robust ABS plastics, making it a manual sweeper perfect for both commercial and industrial use. WHAT IS THE PICOBELLO SWEEPER 151 RUNNING-TIME? 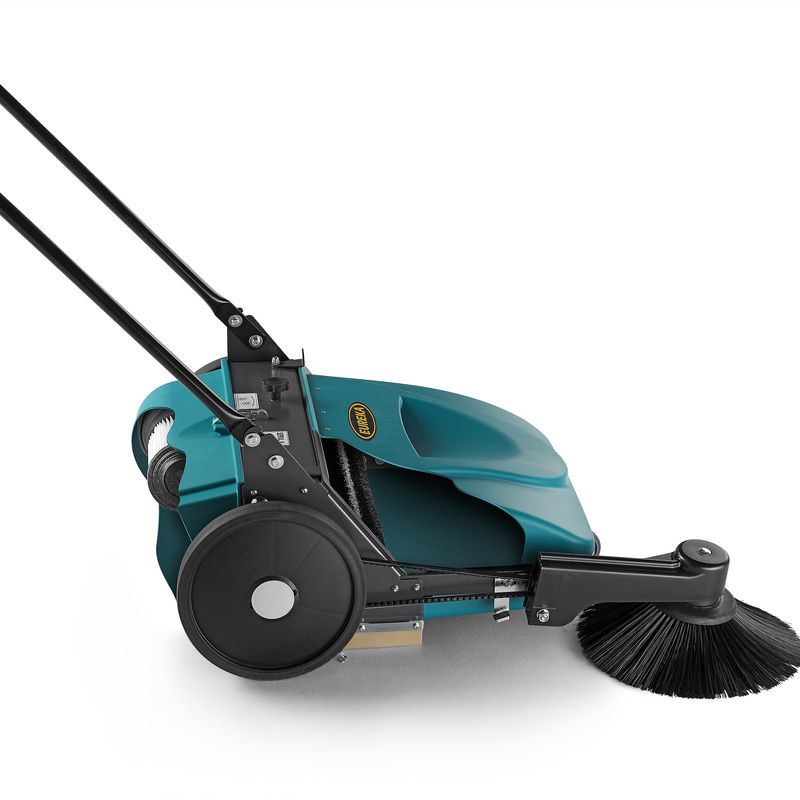 The Picobello 151 is equipped with a unique patented system, not available in any other walk-behind floor sweeper, which enables 100% dust control. It is completely manual for unlimited running time. Eureka S.p.A. has especially designed a polyester cartridge filter, different to a paper filter, it's washable, more resistant and reusable. This push sweeper is made to tackle every type of situation. CAN I SWEEP MY HOUSE PATIO OR COURTYARD? Yes! Sure! The Picobello 151 manual sweeper is amazingly manageable, it is agile in confined areas and works just as well over hard or soft floors indoor or outdoor. In addition the innovative patented vacuum filtration system, enables dust suction during the sweeping job. Picobello 151 is more than an industrial push sweeper. The Picobello 151 Ecovac® is a very innovative manual push sweeper, as it is equipped with a patented system that enables the complete control of dust, which would otherwise be raised when using any other traditional walk behind manual sweeper. Picobello 151 has an unlimited running time, it is completely silent and 100% ecological. 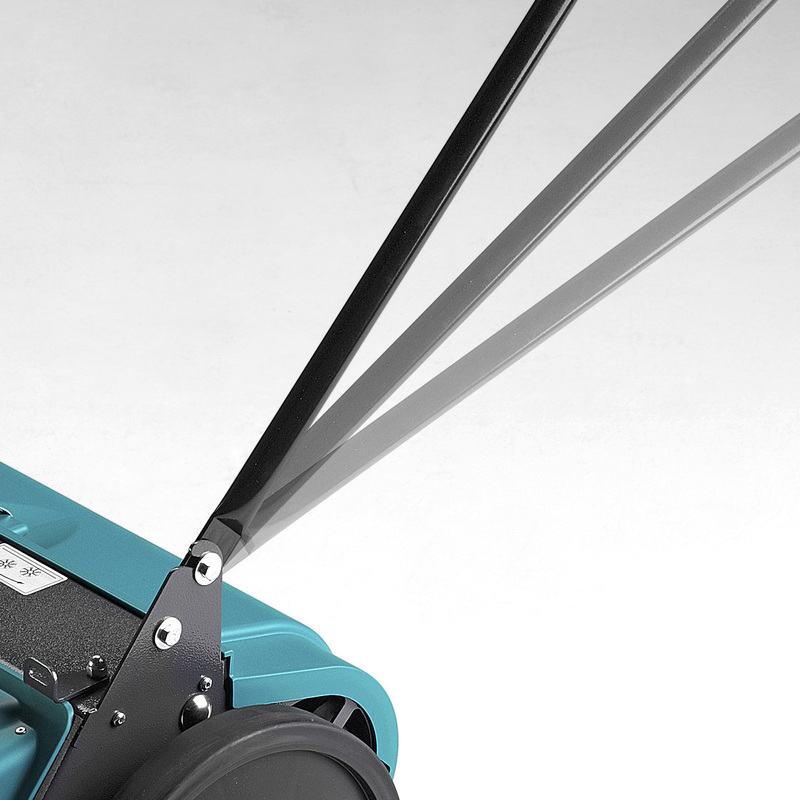 Picobello 151 is a commercial push sweeper with a total sweeping path of 730 mm. It can sweep up to 2190 m2/h, and is therefore more than 10 times faster than a man with a broom. We have designed a manual floor sweeper with an integrated vacuum system completely free from batteries, engines or cables, to guarantee ease of use, value for money and respect for the environment. 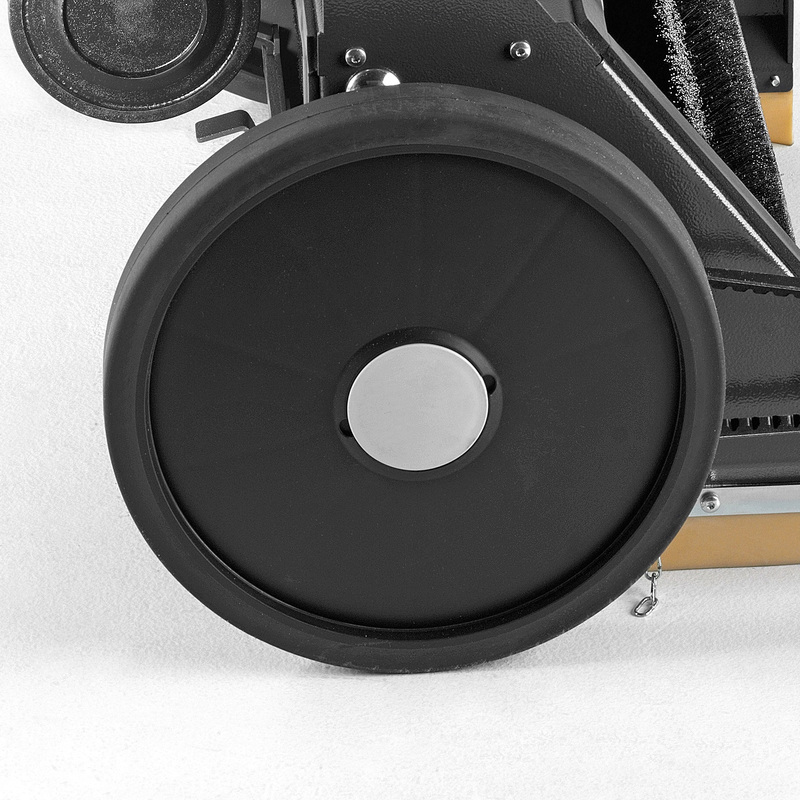 When the machine is pushed, either forward or reverse, the side wheel activates the main brush and, in addition, a drive shaft connected to the vacuum-fan which enables the suction of dust during the cleaning job. 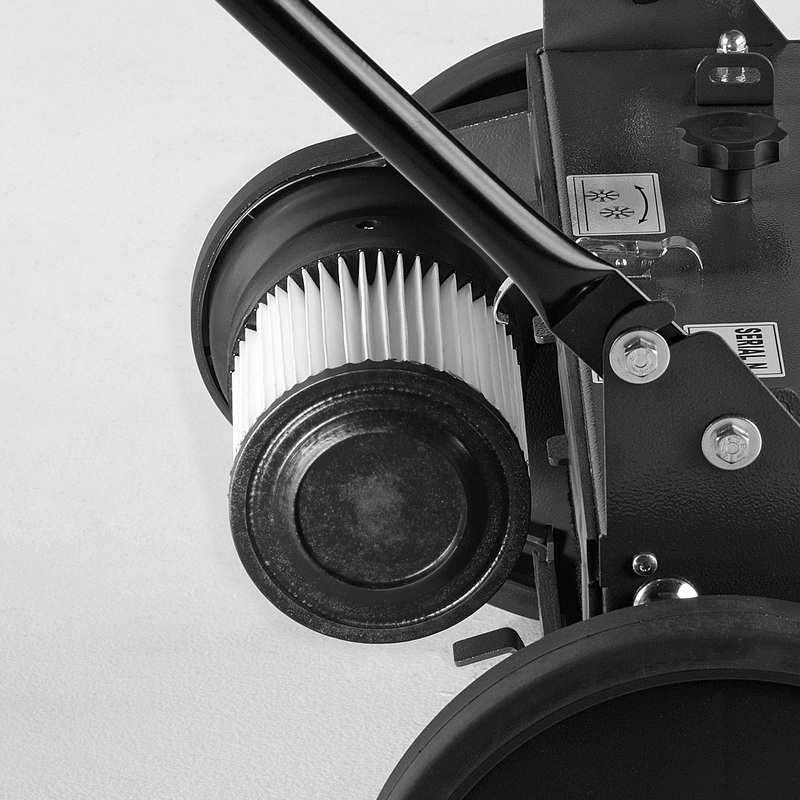 The sweeper is equipped with a cartridge filter, which is made of polyester, to retain small particles of dust. The filter is washable and can be easily removed for maintenance or eventual replacement, making it a perfect solution as industrial floor sweeper. An effective, 100% operator friendly sweeper with adjustable handle. The Picobello 151 Ecovac® manual sweeper is entirely manufactured in Eureka and has a durable metal frame, protected with anti-corrosion paint. The adjustable side brush, mounted on shock-absorbers, enables Picobello 151 to sweep in remote corners and along walls. 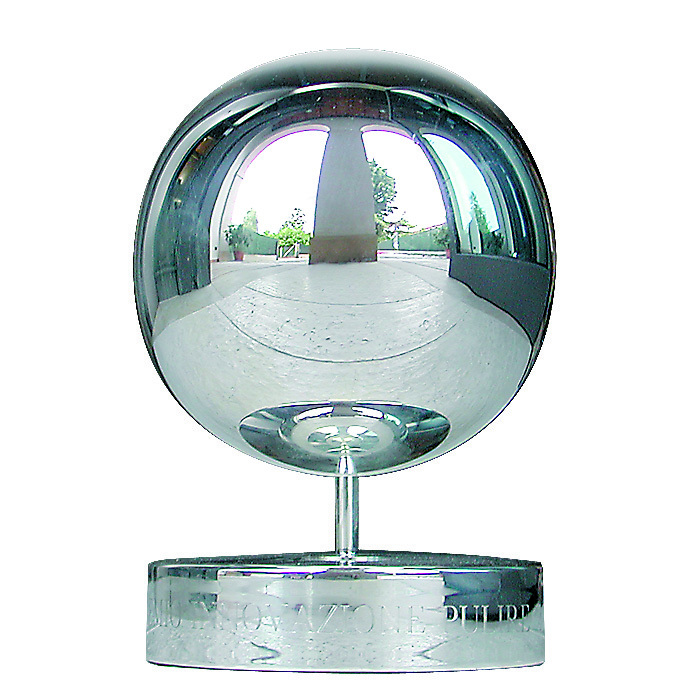 Picobello 151 works just as well over hard or soft floors, indoor or outdoor. Picobello 151 can sweep in both forward and reverse. 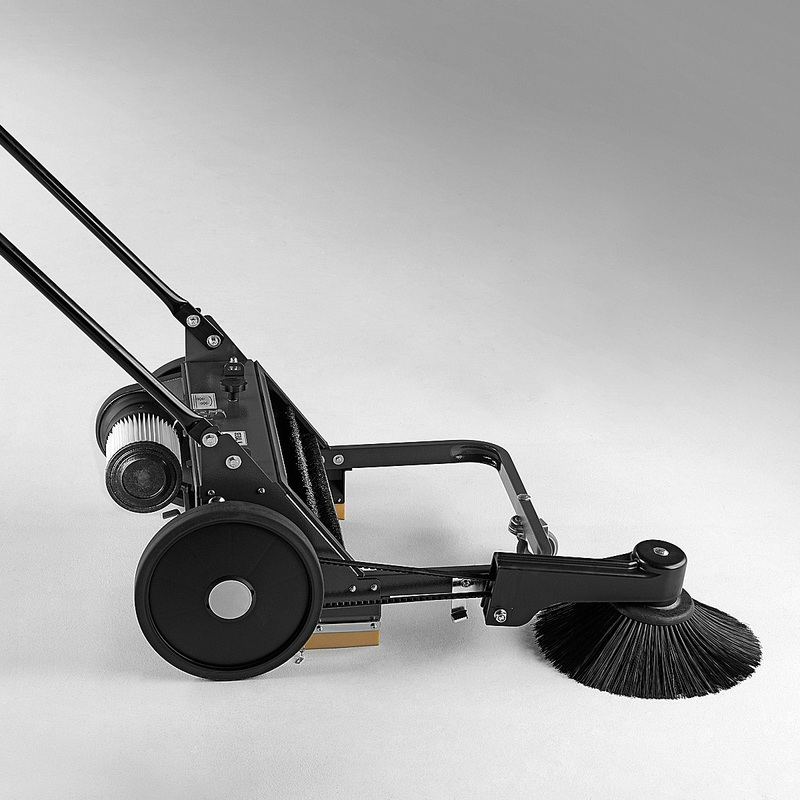 The main brush pressure can be adjusted to suit any floor conditions and type of debris. Picobello 151 is mounted on large rear wheels with self-greasing bearings for better maneuverability. Large capacity anti-shock front & rear dirt containers, sweeper can collect either in forward or reverse. Picobello 151 Ecovac® is equipped with a cartridge filter, which is made of polyester, to retain small particles of dust. The filter is washable and can be easily removed for maintenance purposes or eventual replacement. Verona, 2005 "Pulire" International Trade Exhibition. Australia, 2013 INCLEAN International Trade Exhibition. FIELDS OF APPLICATION: Industrial sites, communities and vicinities, schools, offices, religious buildings, hospitals, public buildings, airports, ports, shopping malls, logistical depots, cleaning companies, and multi services. SUITABLE CLEANING SURFACES : Ceramics, marble, cement/concrete, linoleum, non-slip surfaces, porcelain tiling, and many other dirty conditions.